A very well priced weight forward line for all round use. Designed for easy handling this 25 meter line has a slick surface and good turnover to serve both beginners and advanced anglers. 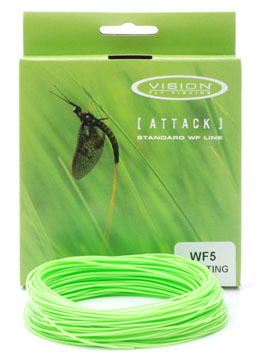 The Attack has a memory free braided core to work well in all conditions.